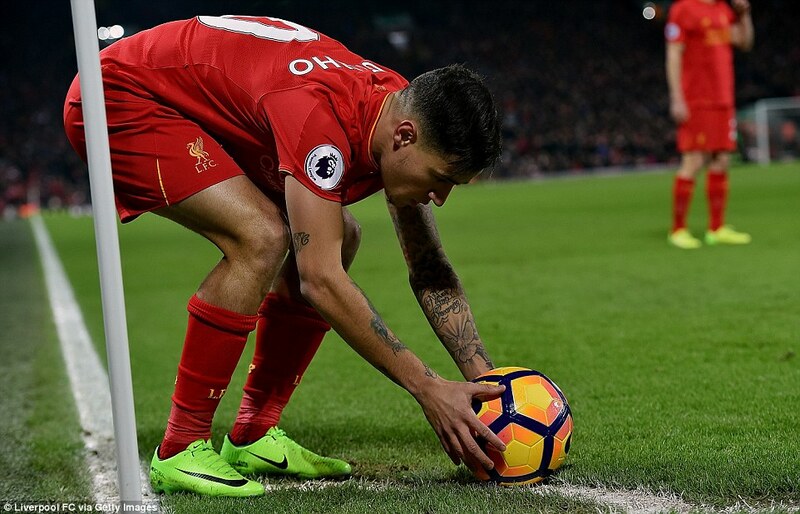 More than a month after Anfield last roared with hope, their team returned on Saturday night in triumph. On New Year’s Eve they were gearing up for a title challenge here when they beat Manchester City. 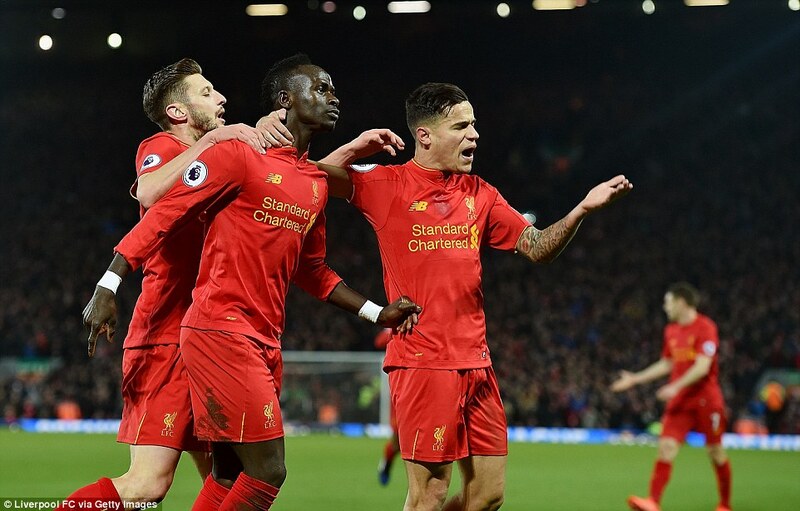 On Saturday night, you could almost understand why, as an exhilarating Liverpool thrust aside one of the best and most in-form teams in the Premier League with a near-perfect first half display inspired by the exquisite Sadio Mane. And yet it did rather beg the question where this team had disappeared to in January. Since that heady New Year’s Eve, the collective might of Plymouth, Swansea, Southampton, Wolves and Chelsea have visited Anfield. 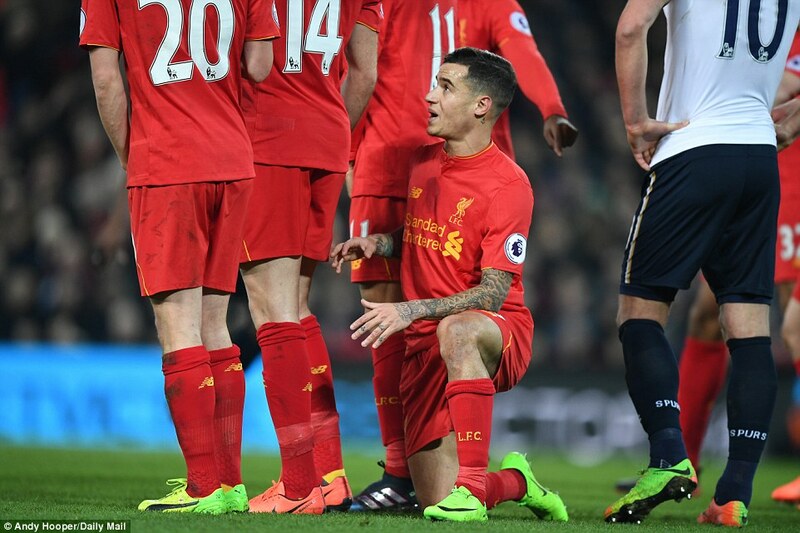 Not a win had been gleaned and inferior teams have utterly exposed Liverpool at times. And last weekend they were lamentable at Hull. But come the big games, then they seem to have a side worth watching. Liverpool (4-3-3): Mignolet 7.5, Clyne 7, Matip 7, Lucas 7 (Klavan 82), Milner 7, Lallana 8, Henderson 8, Wijnaldum 8, Mane 9 (Alexander-Arnold 90+2), Firmino 7.5, Coutinho 7 (Can 77). Unused subs: Karius, Sturridge, Moreno, Origi. 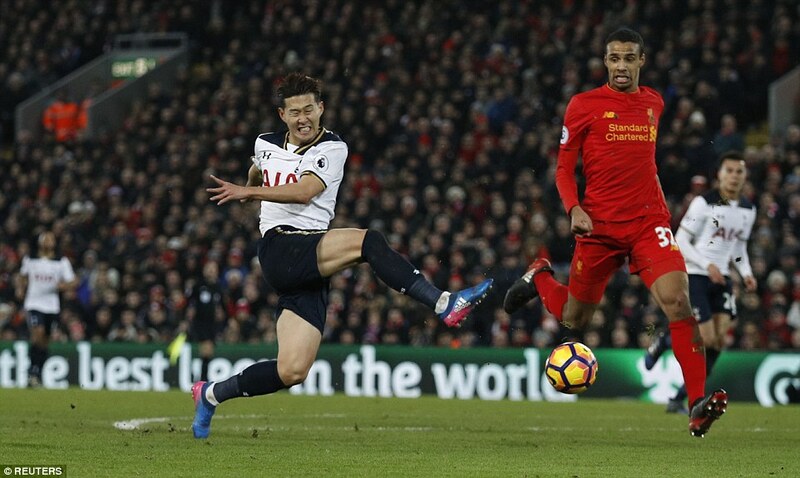 Tottenham Hotspur (4-3-2-1): Lloris 6.5, Walker 5, Dier 4, Alderweireld 5.5, Davies 4, Dembele 6 (Sissoko 77), Wanyama 5.5, Eriksen 5 (Winks 68), Alli 5, Son 5, Kane 5. Unused subs: Janssen, Vorm, Nkoudou, Trippier, Wimmer. Bookings: Alderweireld, Dier, Son, Kane, Winks. 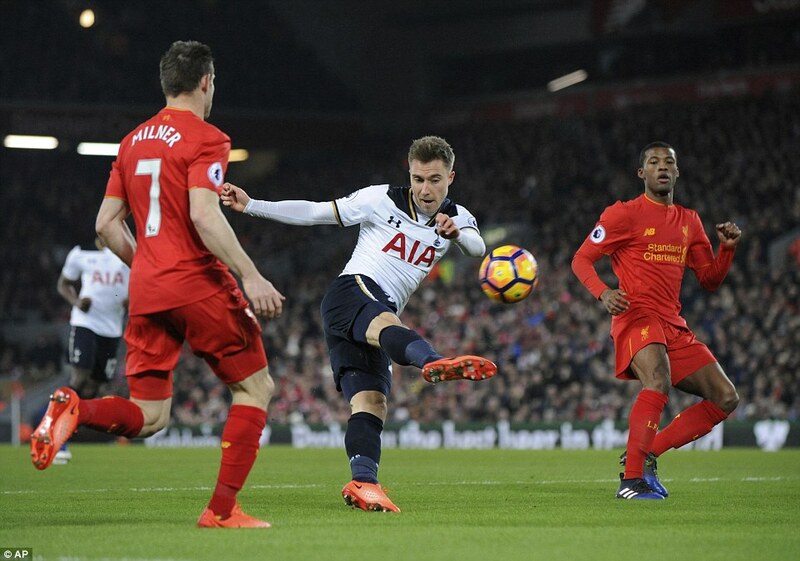 A look at Sadio Mane’s second goal as he put Liverpool in the ascendancy against Tottenham from Sportsmail’s excellent Match Zone service. 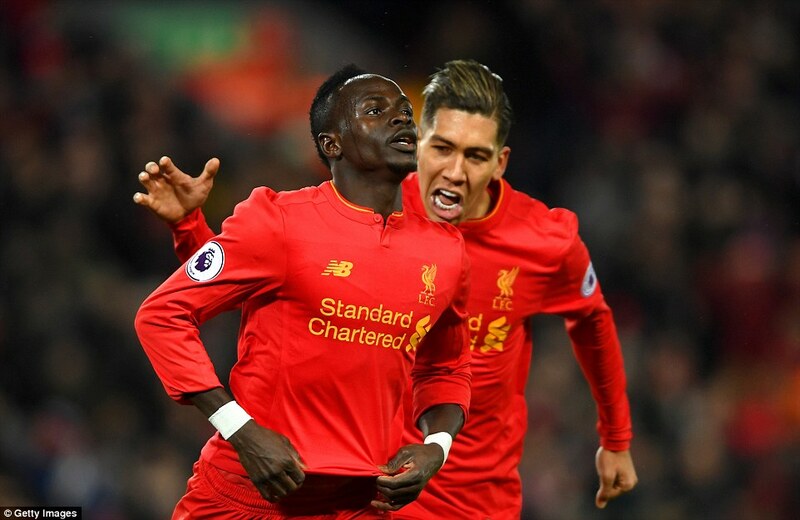 It cannot just be the return on Mane from the African Cup of Nations, though in his first game at Anfield since New Year’s Eve he was quite unplayable and utterly compelling. He scored two but might have had five. 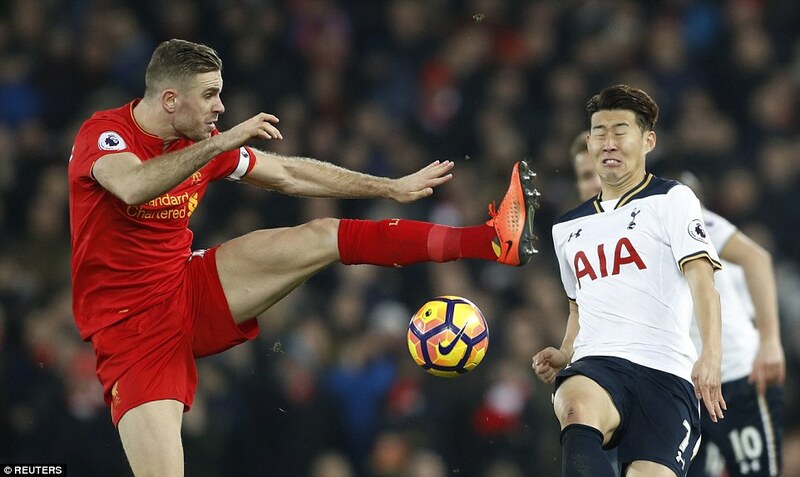 Eric Dier and Ben Davies were particularly exposed by him but few Tottenham players were spared. It was a performance that put you in mind of Luis Suarez and there is not much higher praise. As for Tottenham, this was a huge jolt to any lingering title ambitions. You could visualise Antonio’s broad grin as, on another Saturday off, the chasing pack continued to tear themselves apart and allow the top dog a clear run. Liverpool in that opening period were simply scintillating. 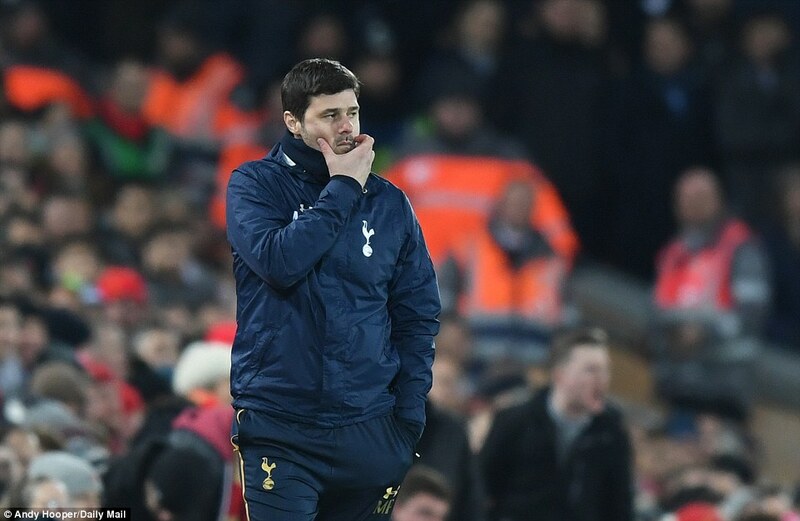 Tottenham started the day with best defensive record in the league; they had only conceded seven goals from open play all season; security at the back is a Mauricio Pochettino trademark. And yet it wasn’t just that they conceded two in two minutes. It was that they looked like conceding every time Liverpool flew forward. Of course, Tottenham were missing Jan Vertonghen and Danny Rose from their regular back four. But nevertheless, the scale of their disarray was extraordinary. 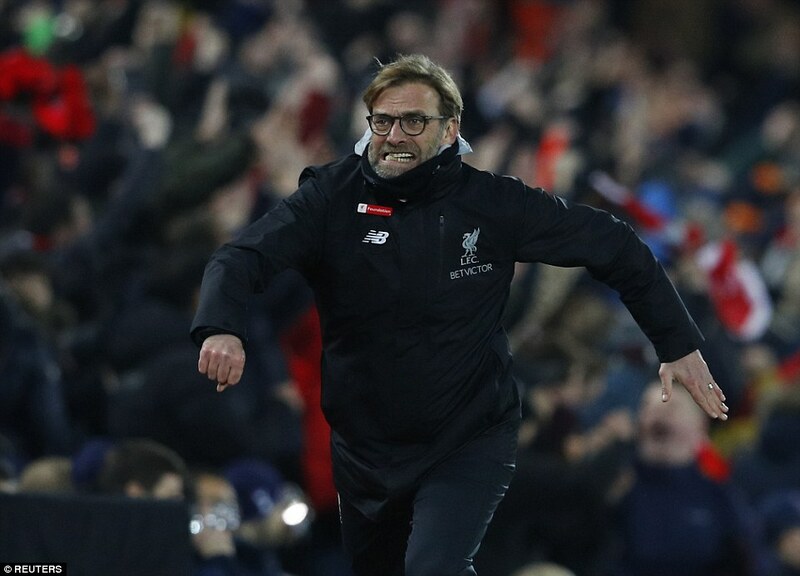 That heady mix of an Anfield evening, the roar of a fully-engaged Kop and a Jurgen Klopp team intent on harrying the life out of any dithering defender is a toxic combination for opponents. 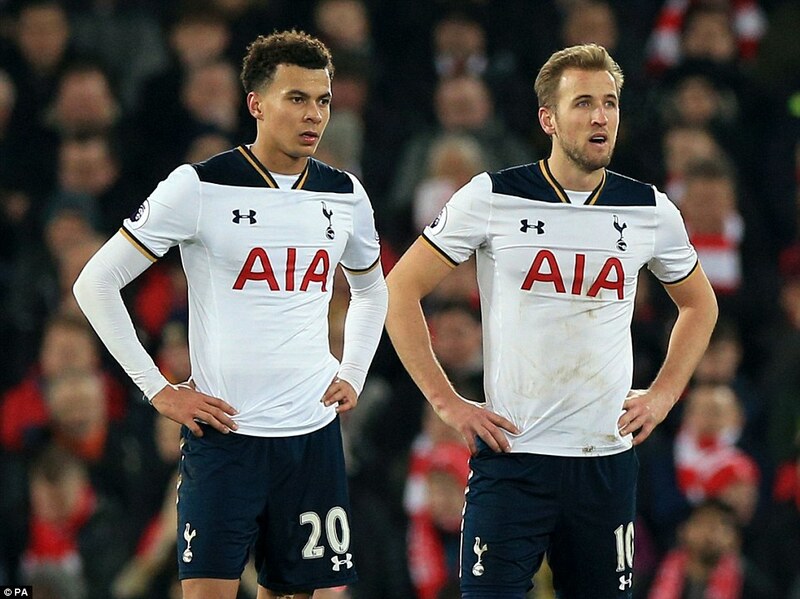 At their best, Tottenham can do the same to their opponents. But on Saturday night they were made to suffer. 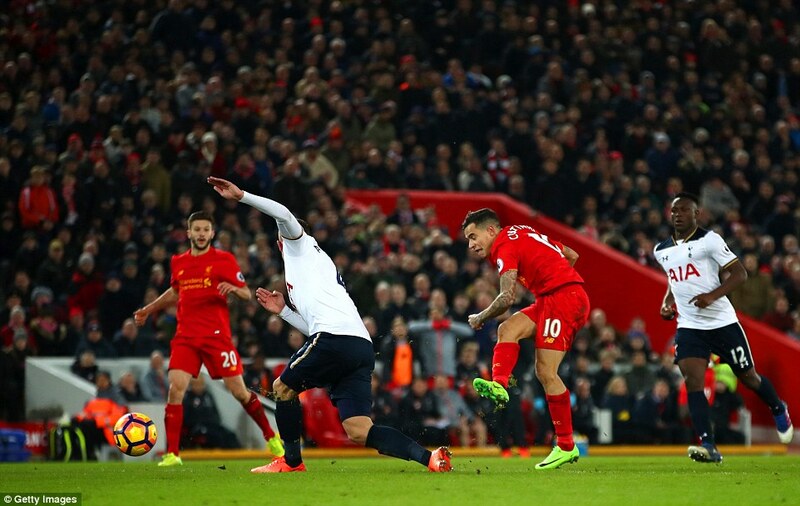 Liverpool fairly flew into Tottenham and Hugo Lloris’ save from Philippe Coutinho after an exquisite exchange of passes was a maker of what was to come. 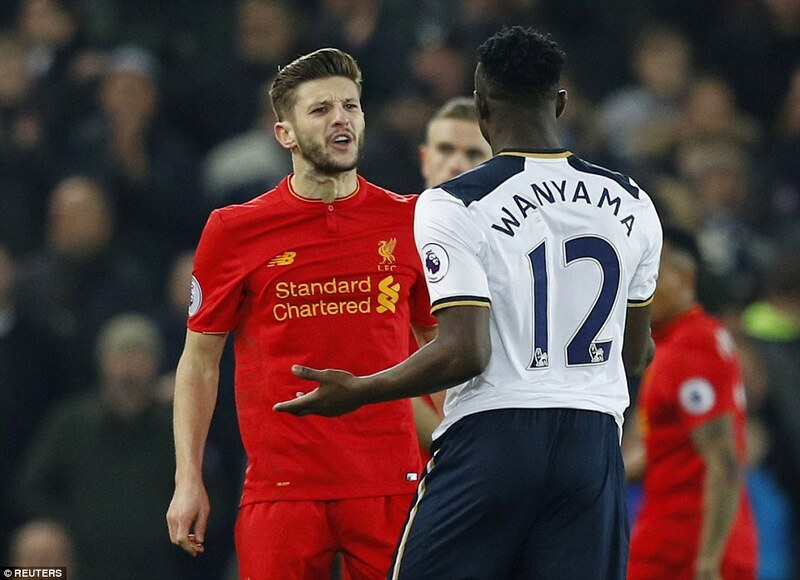 On 16 minutes Victor Wanyama was robbed in midfield and Georginio Wijnaldum threaded through the most-delightful ball which slit Tottenham’s defence and had Ben Davies chasing Sadio Mane in vain. The Senegalese striker simply raced away and Tottenham were utterly exposed. 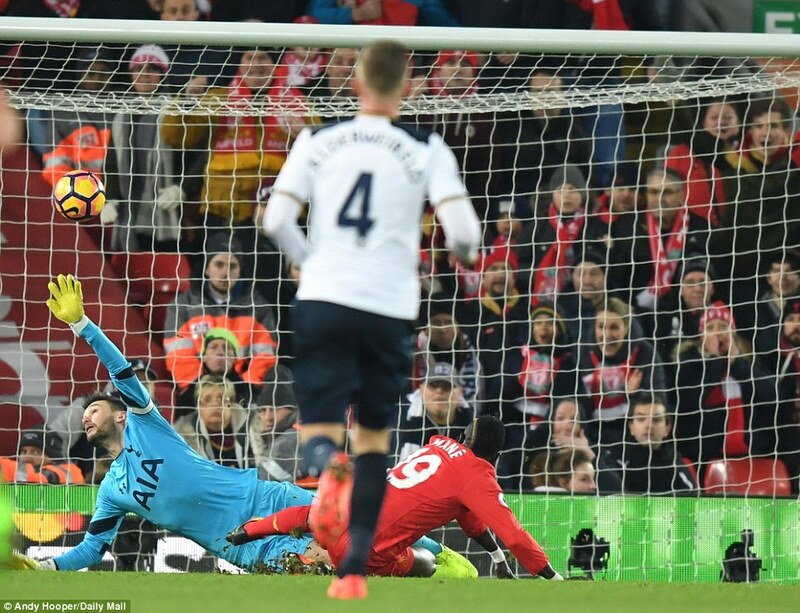 Despite Lloris bearing down, he managed to finish and Anfield sensed superiority. Barely had Tottenham had time to absorb that shock then they pressed into another mistake. 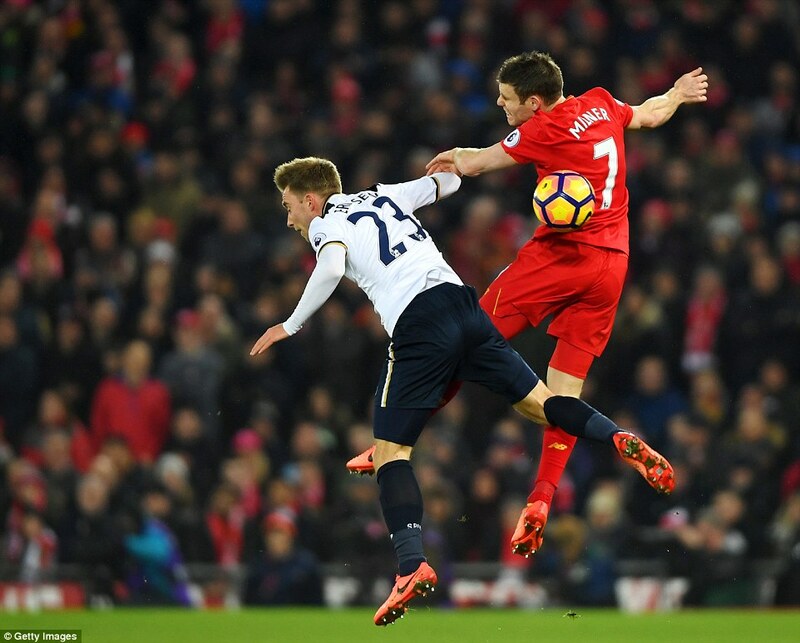 This time it was Eric Dier who was robbed on the ball by Mane, who flew away and squared for Lallana,whose shot was parried by Lloris. 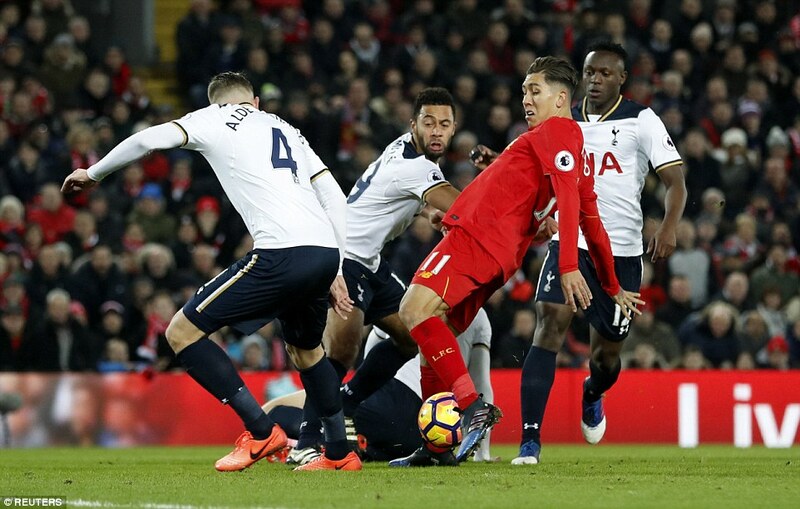 It fell only to Robrto Firmino who forced another svae from Lloris only for the ball to sit up for Mane to volley home. 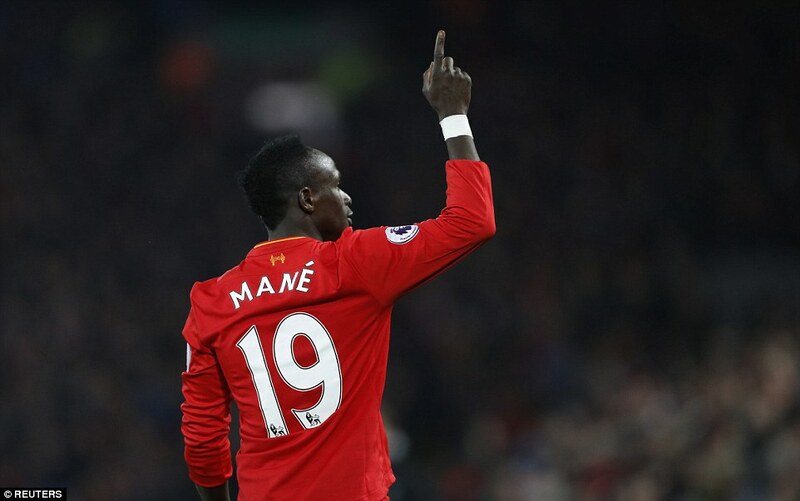 Now it fet like open season, almost Llloris against the rest, though mainly Mane, who struck the side netting and then had another striker tipped over by the Frenchman. 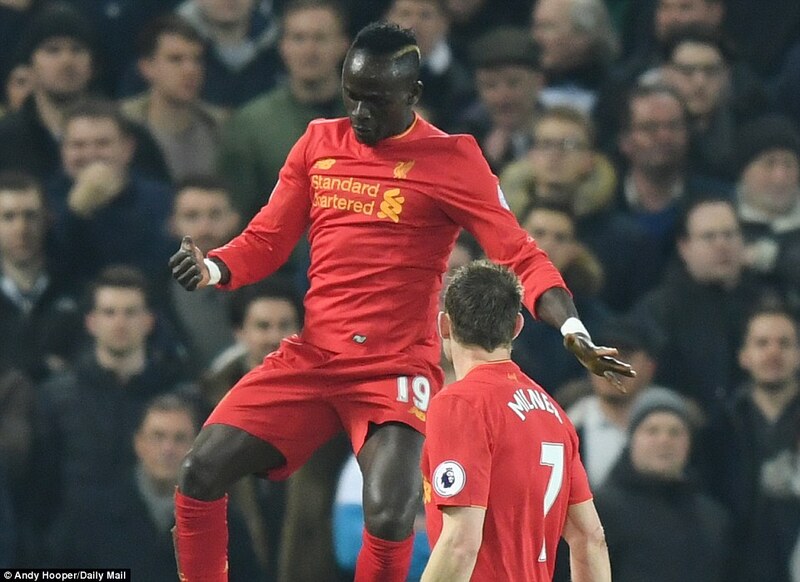 Tottenham had been overwhelmed and Mane was simply outstanding. There is always a vulnerability at the heart of Liverpool, however. 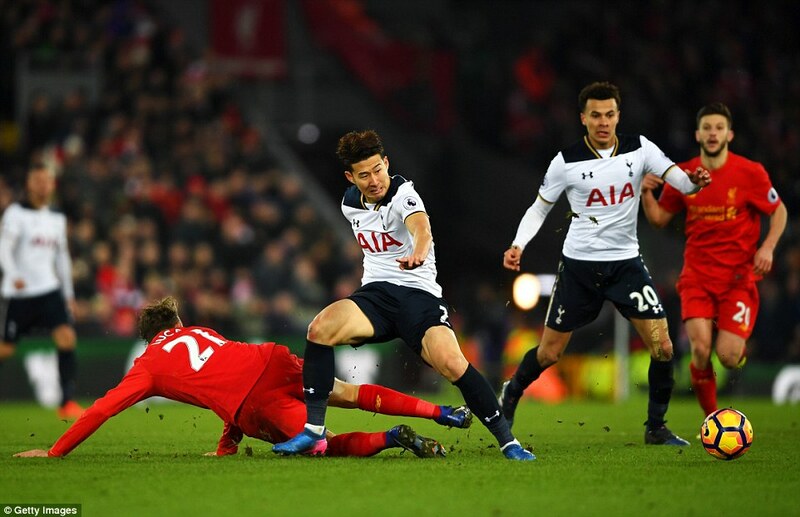 Heung Min-Son found himself clear on 26 minutes and Simon Mignolet saved well. But Lloris was again called into action on 31 minutes to save from Coutinho. 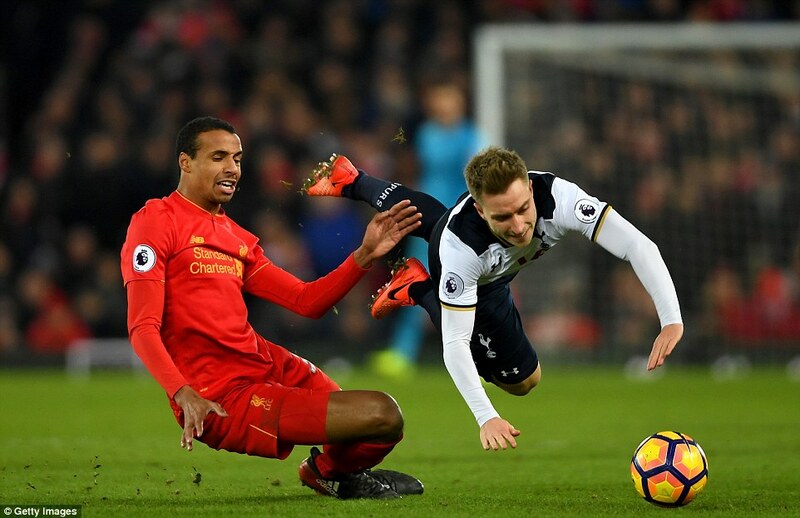 Tottenham though had recovered a degree of composure from the mauling they had received in the first twenty minutes and were at least establishing a foothold back in the game. Tottenham couldn’t be expected to be so compliant after the interval. The first-half chaos had been so uncharacteristic that is seemed unlikely to prevail. 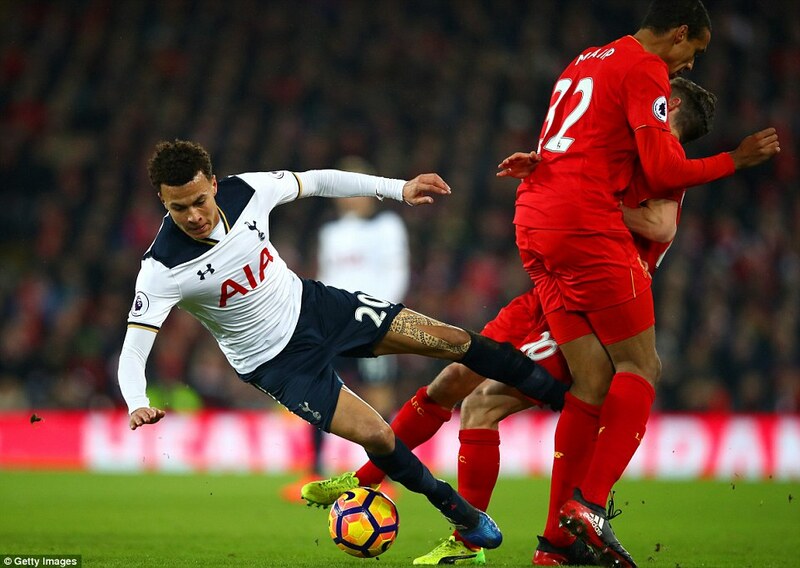 They had to endure the Kop’s excited claims for a penalty when Lallana shot into the arm of Dele Alli om 49 minutes. But ultimately they had expect a reaction and Tottenam were more robust. Somuch so, that challenges begun to fly in with even less caution than previously, from both sides. 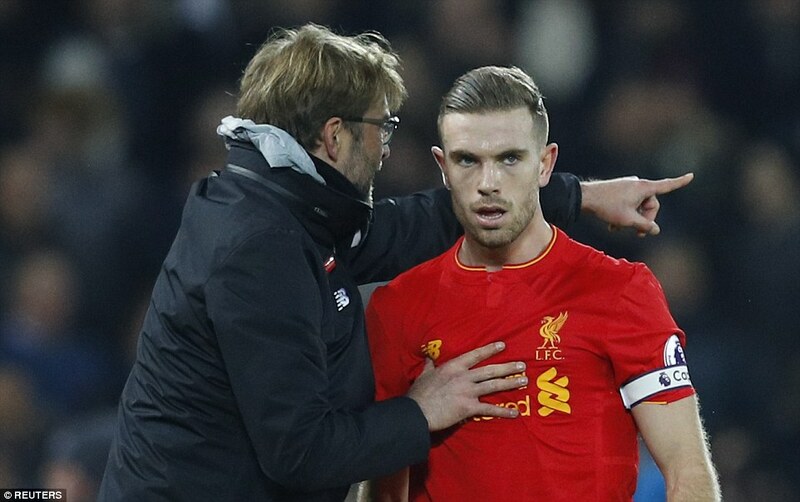 In a twenty minute spell Jordan Henderson, Joel Matip, James Milner. Song, Harry Kane and Harry Winks were all booked. 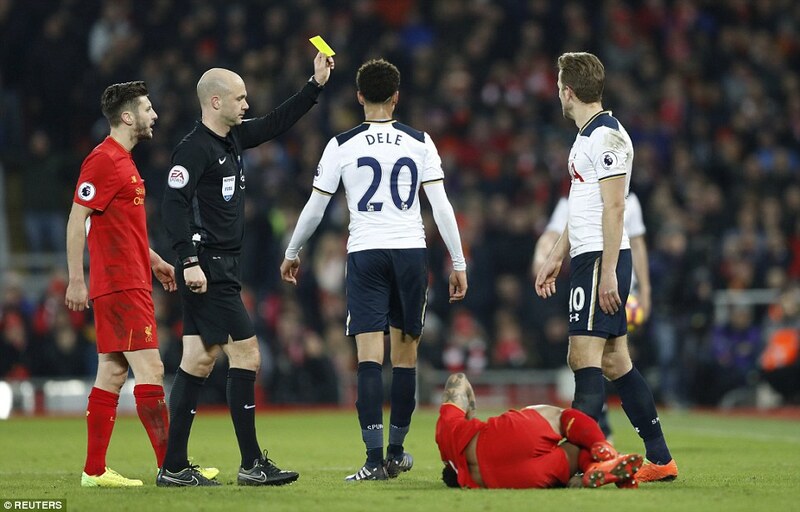 Eric Dier and Toby Alderweirled were later added also for fouls. Tottenham did manage something other than a physical response when Christian Erikson floated in a free kick on which Kane manage to direct against the post. The offside flag had been raised but it was an indication of Tottenham’s determination to engage with the battle. 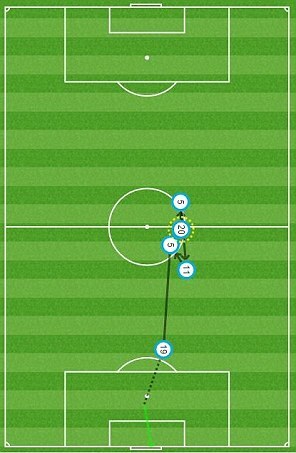 Nevertheless, the flow of traffic was still predominantly towards Lloris’ goal. Matip headed just wide on 71 minutes and Lallana then fed Coutinho on 74 minutes and the Brazilian shot just wide through the legs of Alderweireld. For Tottenham, there was always hope. They had been outplayed at Manchester City and still grabbed a draw at the end. Doubtless they had similar thoughts. 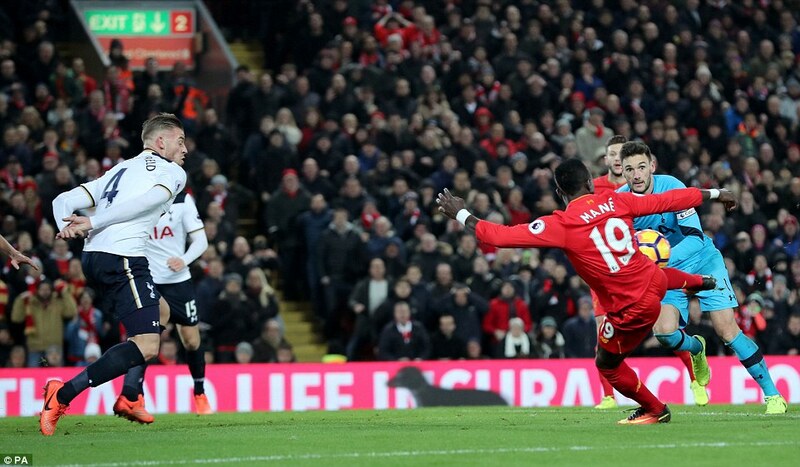 But they struggled for genuine goal-scoring opportunities and Liverpool seemed a different proposition to the side which has seemed so fragile throughout January.